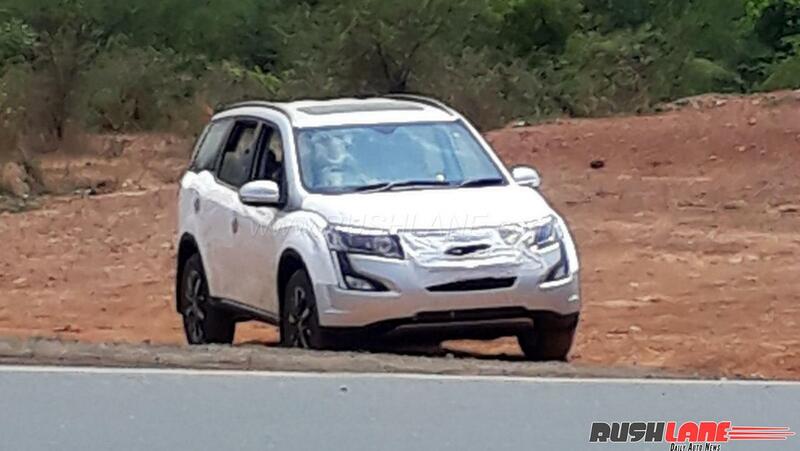 Mahindra XUV500 facelift gets 2.2 liter diesel with performance upgrades. 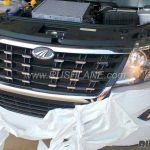 Mahindra and Mahindra are all set to launch the new XUV500 facelift in India on 18th April 2018. Ahead of that, the car has started arriving at dealerships across India. 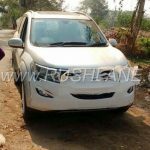 Rushlane reader Shivaraj managed to click these photos of the new XUV500 while it was being delivered to the dealer in Hubli. 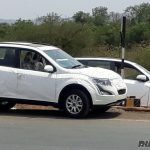 Mahindra XUV500 facelift gets styling updates and new features besides the same diesel engine seen on its current counterpart, tweaked for added power and performance. 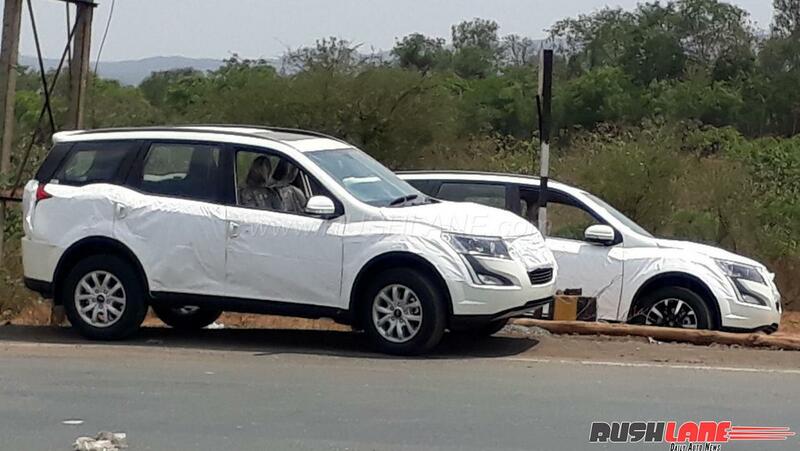 Exterior updates include a new grille with chrome surrounds, new diamond cut alloy wheels which are the same as those seen on the XUV Aero concept showcased at the 2016 Auto Expo and large spoilers and revised rear bumper design. Headlamps get re-profiled with projector units and LED DRLs. 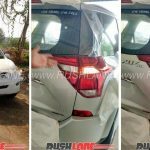 Tail lamps and sloping D Pillars remain unchanged. Interiors see use of leather upholstery in a tan color scheme and the dashboard also receives soft touch leather in an all black color scheme giving the XUV500 facelift a more premium appeal. The on board infotainment system gets updated with a new smartwatch app under BlueSense banner. 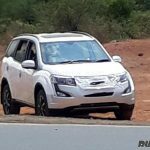 Mahindra XUV500 facelift, to be offered in five diesel and a single petrol variant will include W5 – Manual, W7- Manual and A/T, W9 – Manual, A/T and AWD and W11 – Manual, A/T and AWD. It will be powered by a 2.2 liter diesel engine offering 155 hp power at 3,750 rpm and 360 Nm torque at 1,750-2,800 rpm. This will be seen on the top end variant while the engine in lower variants will deliver 140 hp. Fuel efficiency will stand at 15.1 kmpl. Transmission options on offer include manual as well as automatic. 2WD as well AWD drive options will be on offer. Expect a slight increase in price, as the car gets ready to compete with the likes of Tata Hexa.